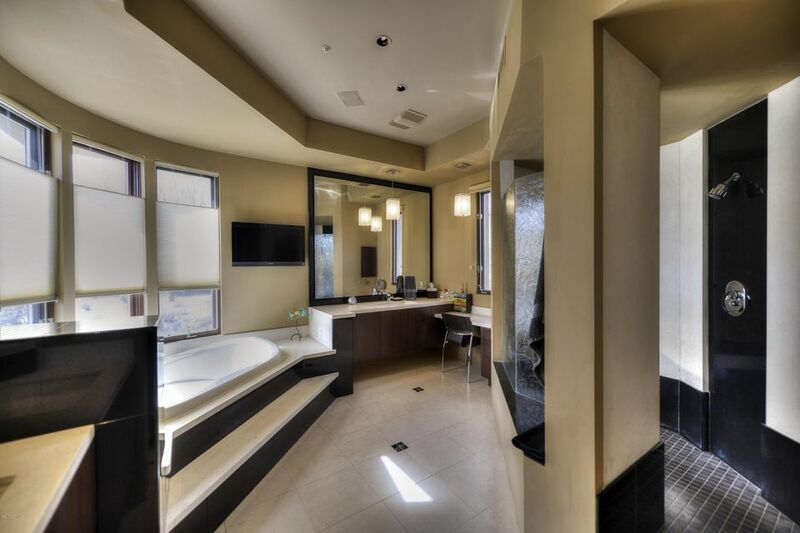 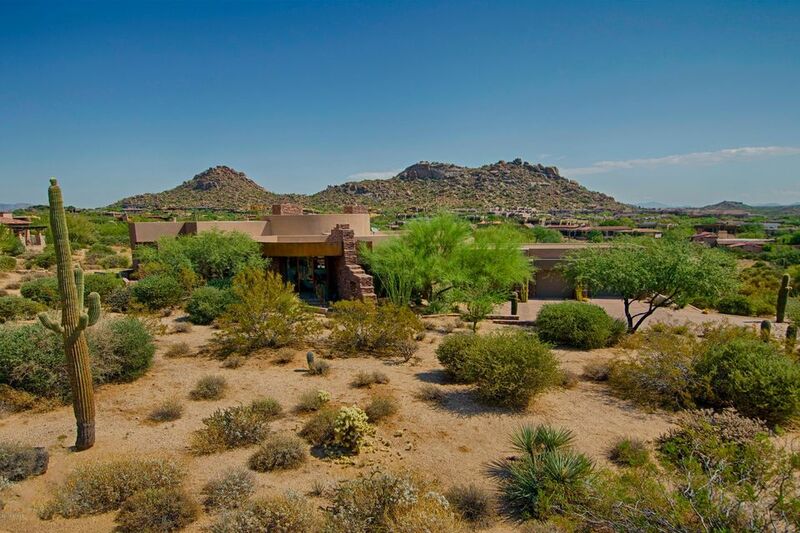 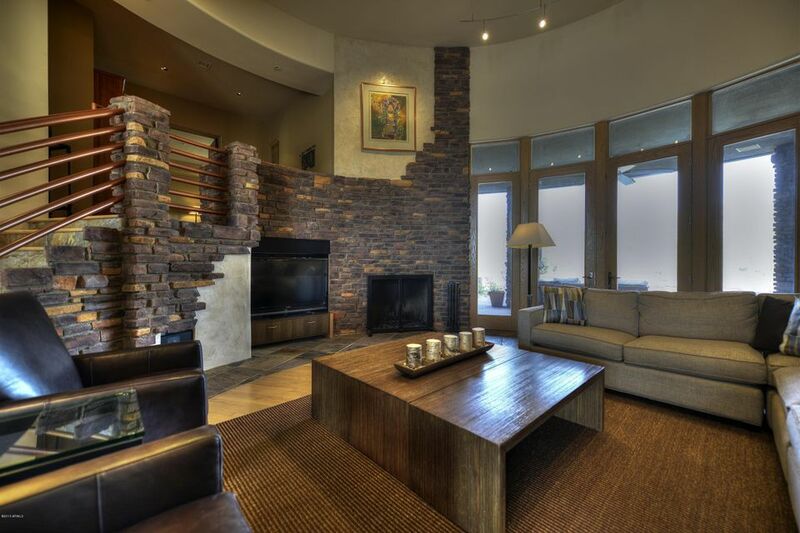 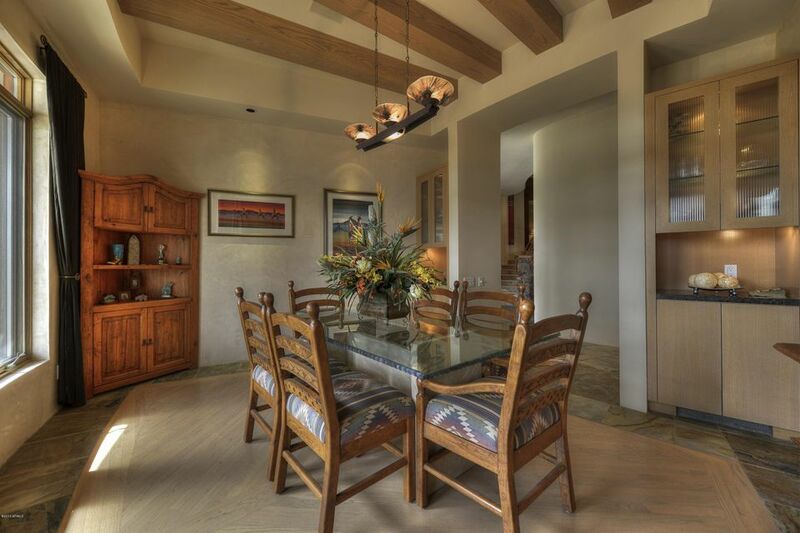 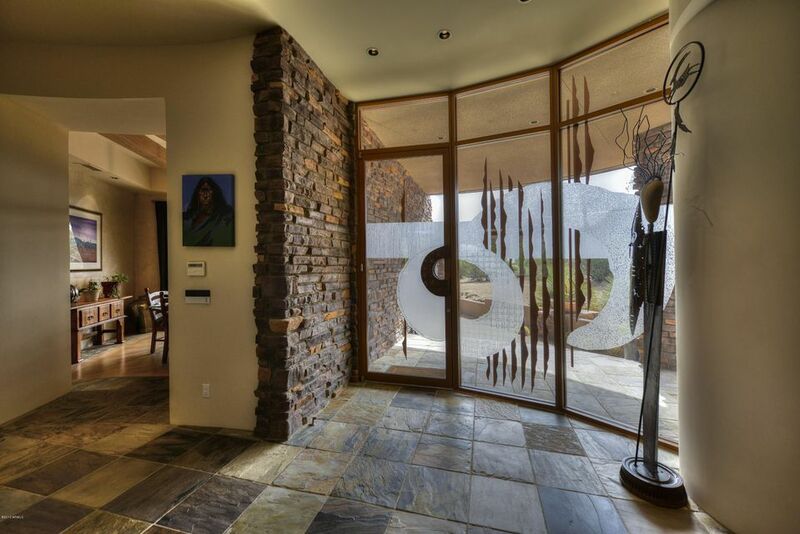 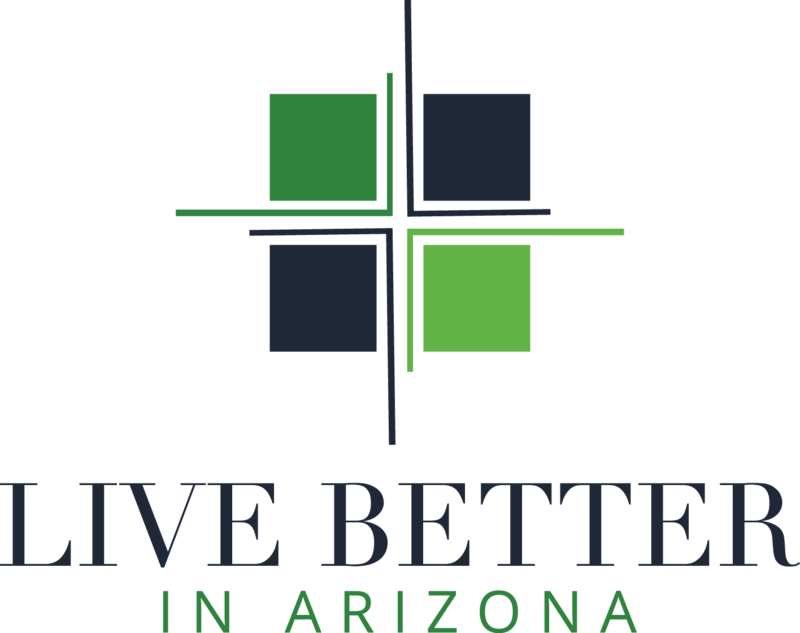 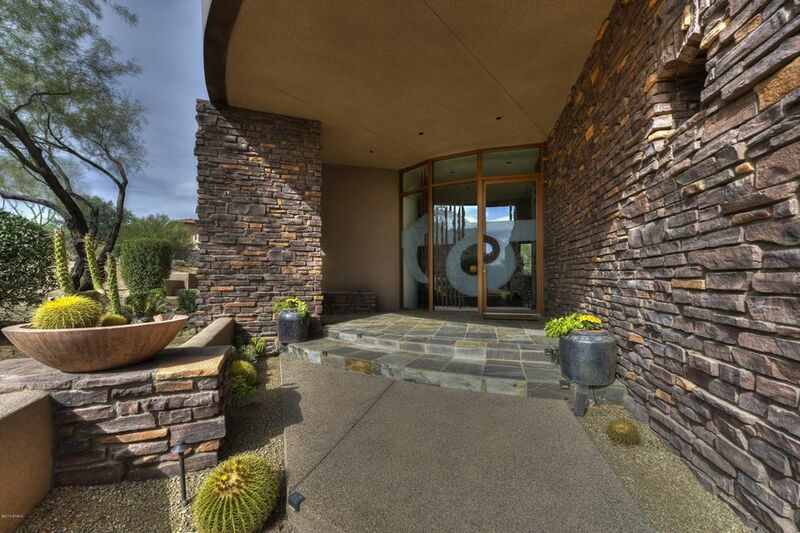 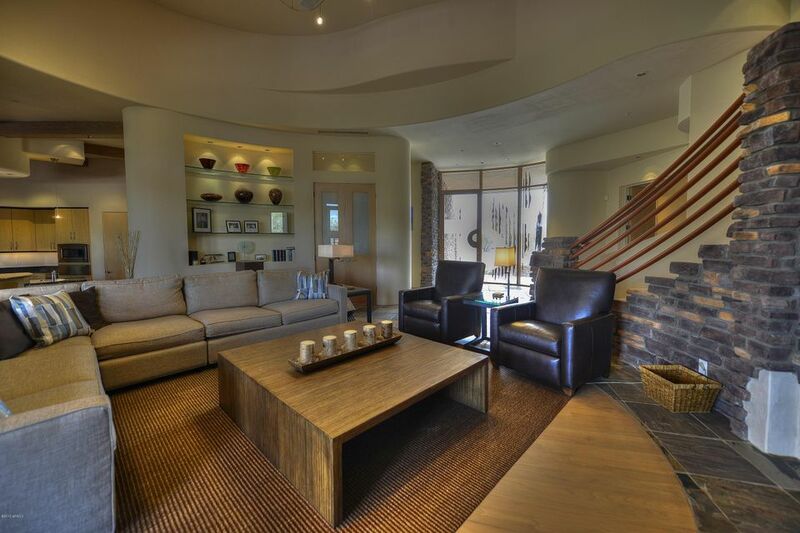 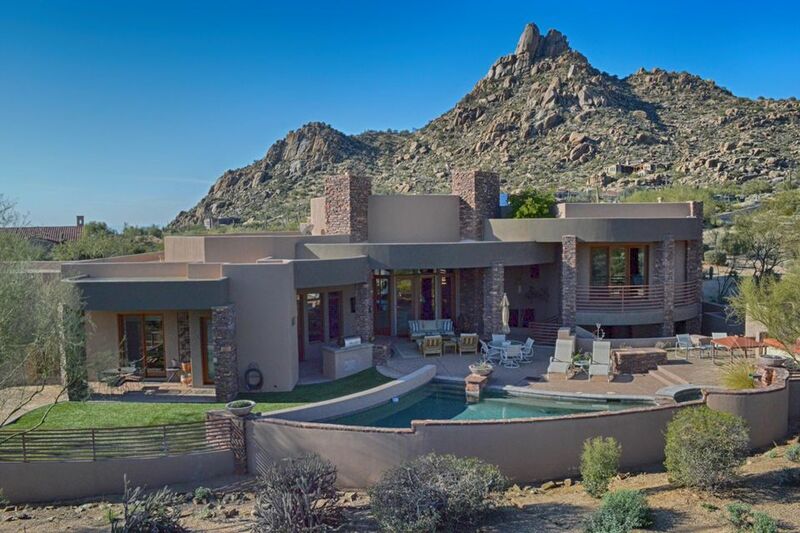  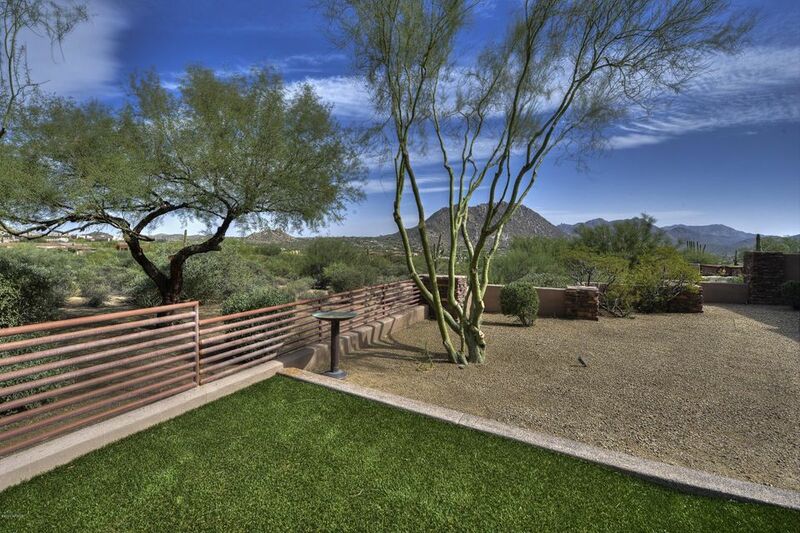 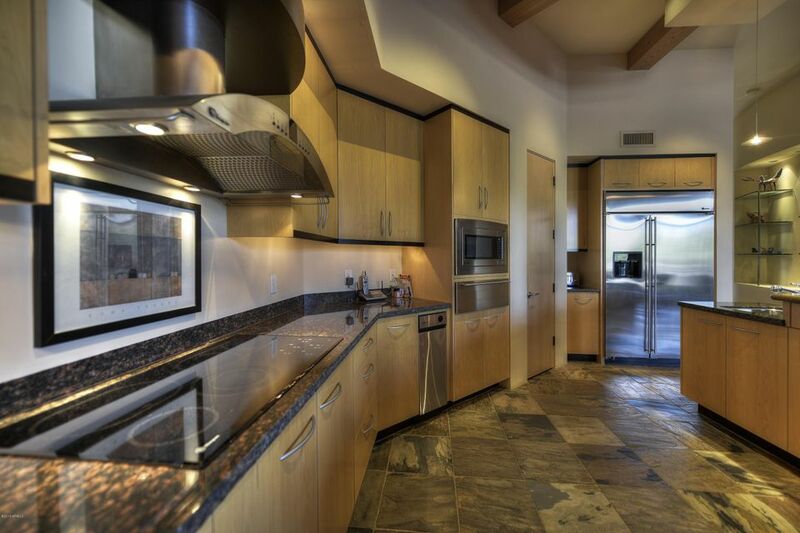 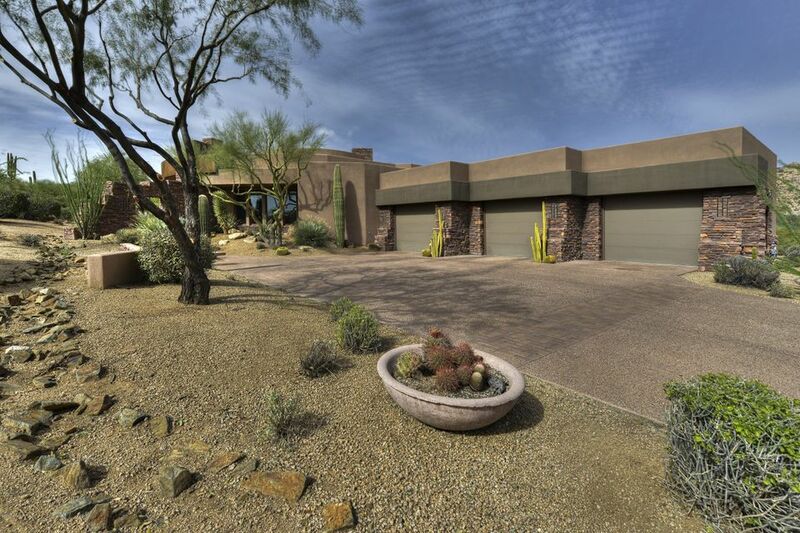 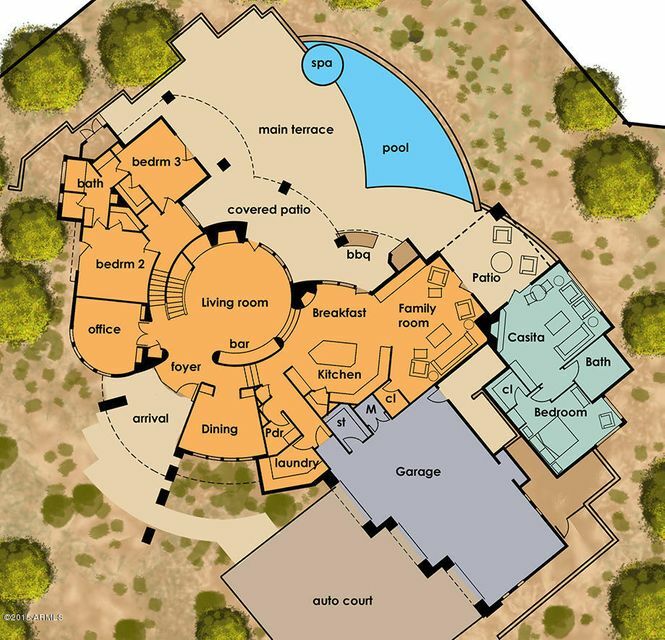 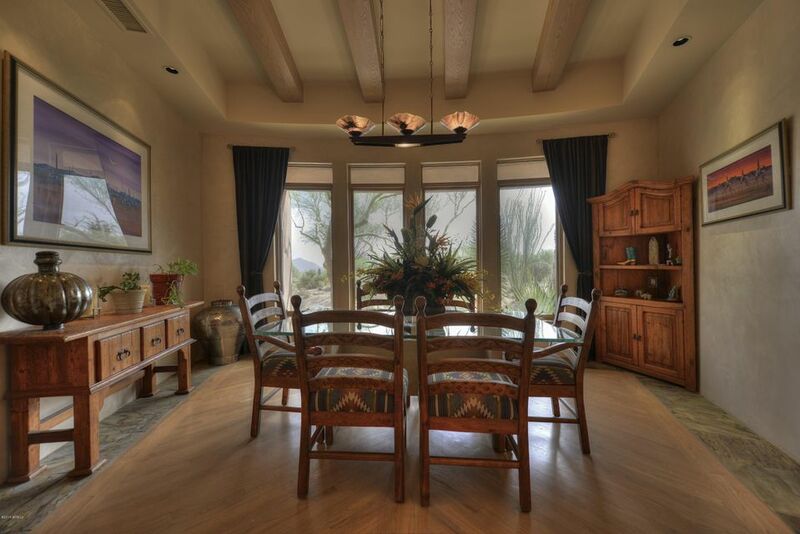 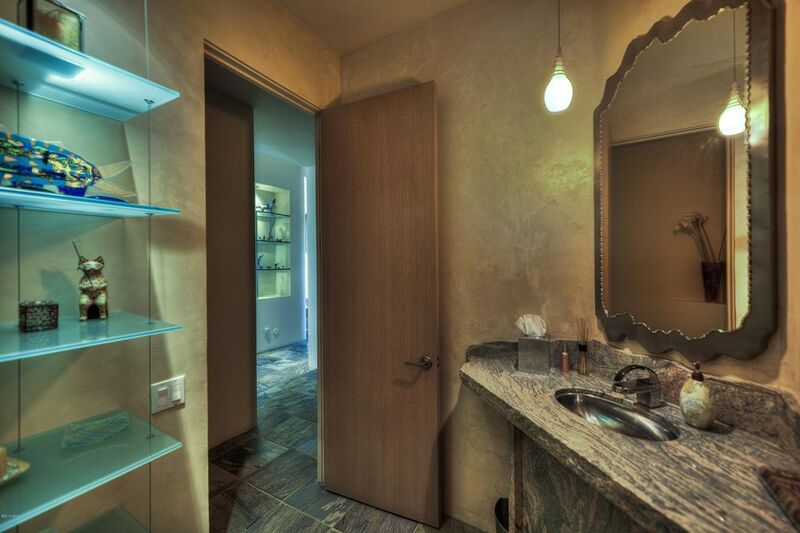 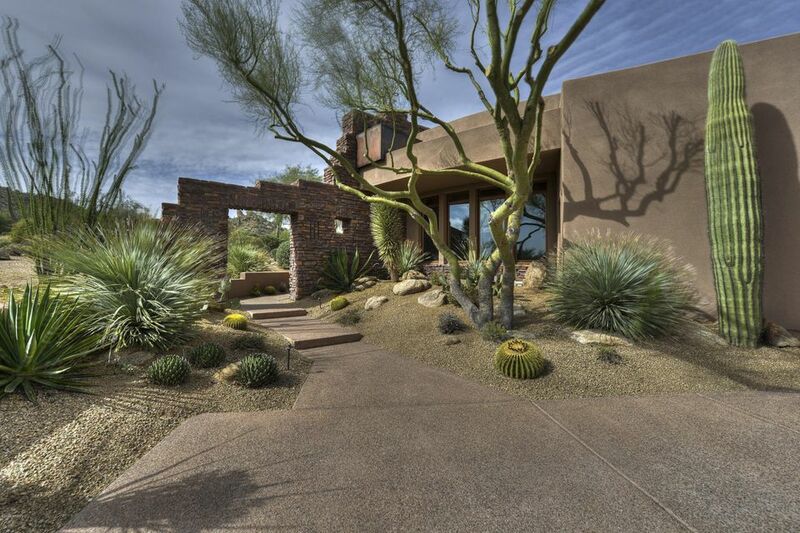 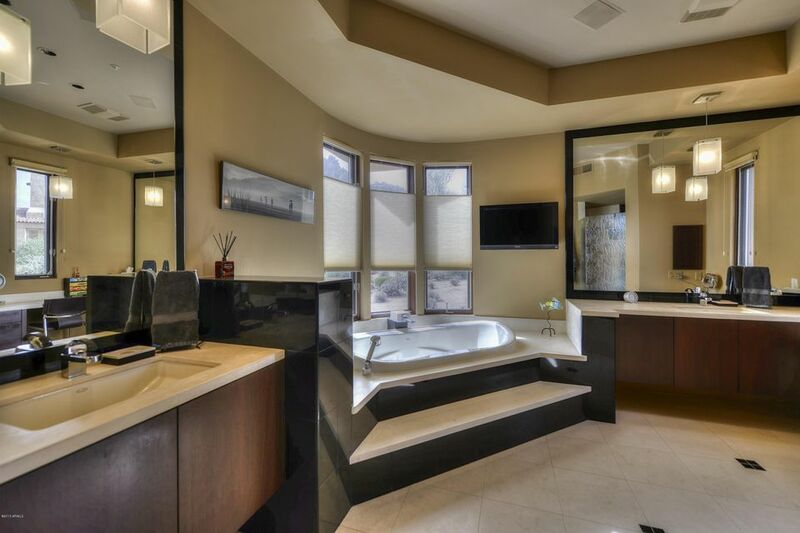 Seller is a premier builder in north Scottsdale and the community of Estancia * Approved plans to add a family room and one-bedroom guest casita bringing total square footage to approximately 5,500 sq. 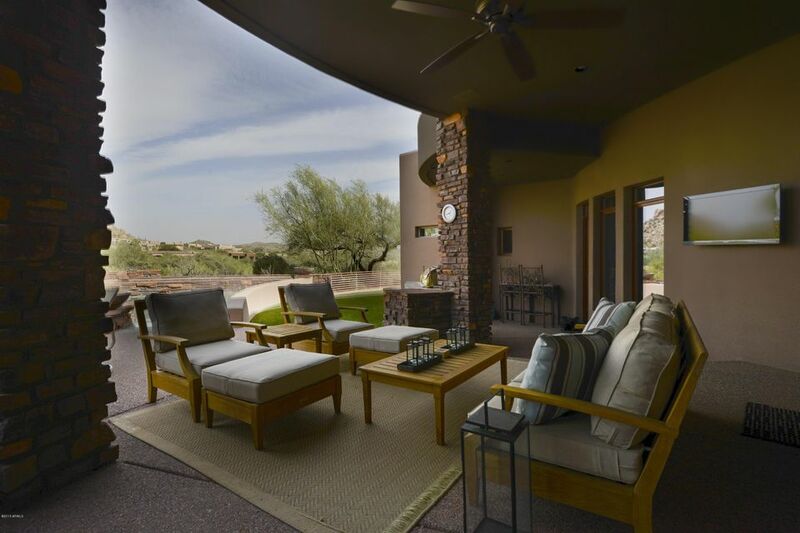 ft. (see architectural rendering)* Classic soft contemporary design on a golf course lot with Pinnacle Peak views in Estancia! 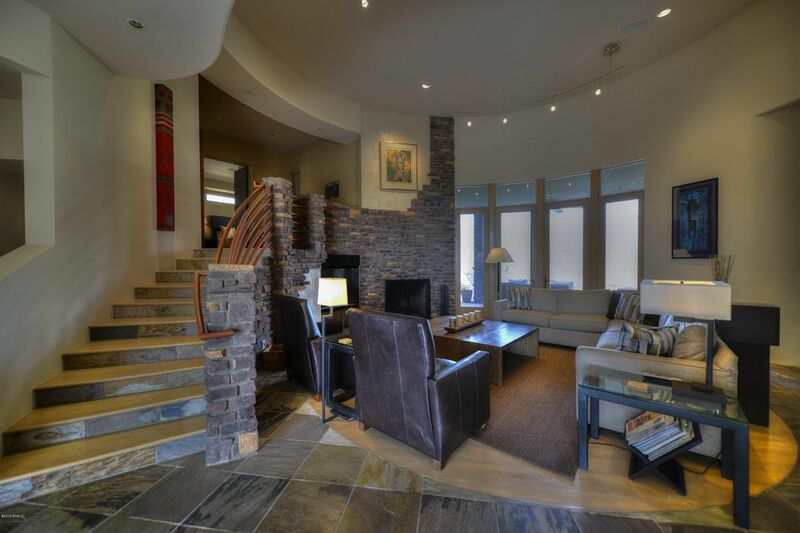 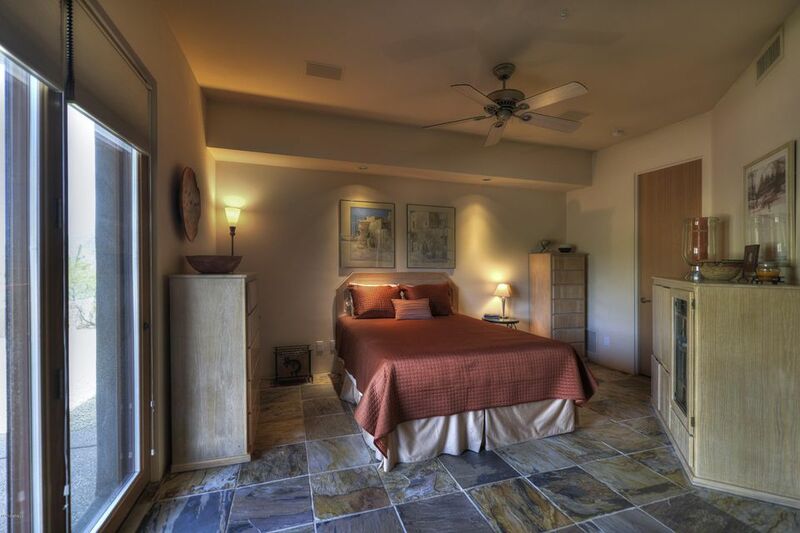 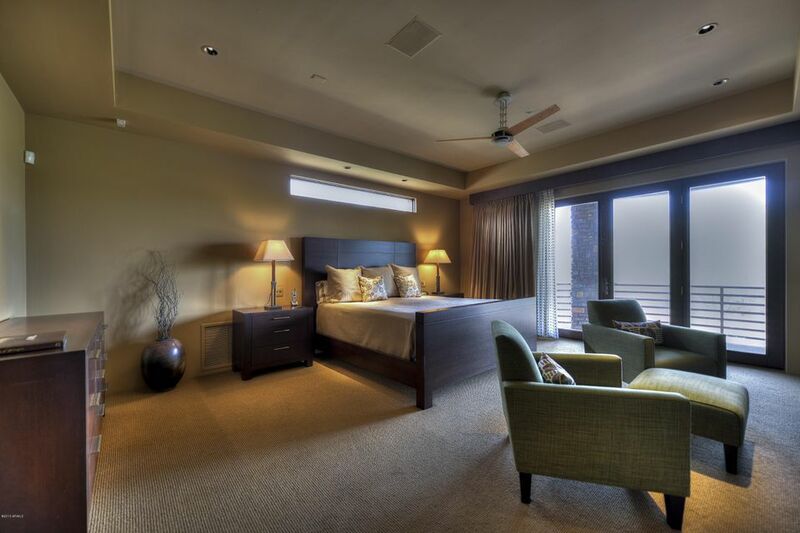 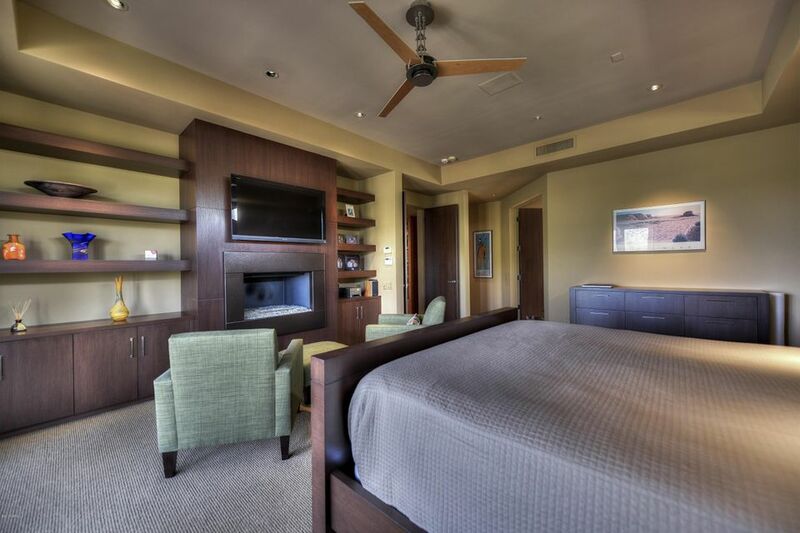 Great Room floor plan with spacious master suite, three guest suites & a dedicated office. 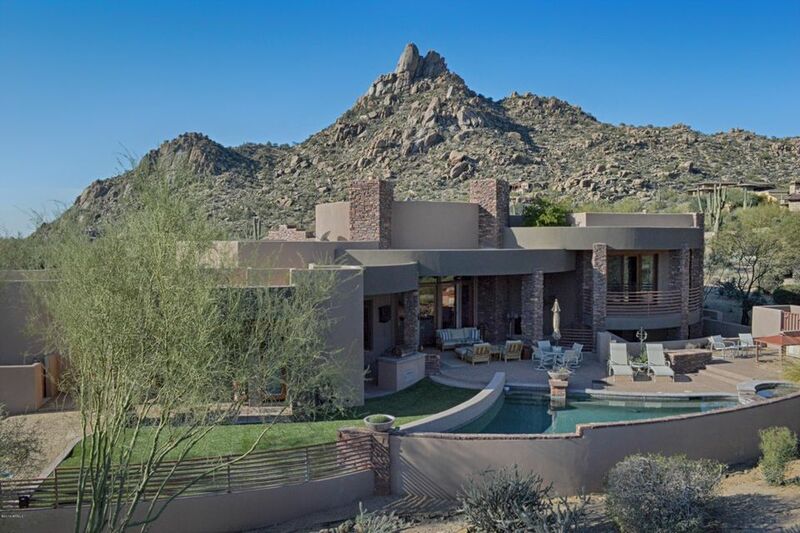 Thoughtful architectural design with large windows, glass doors & soaring ceilings that generate an abundance of natural light. 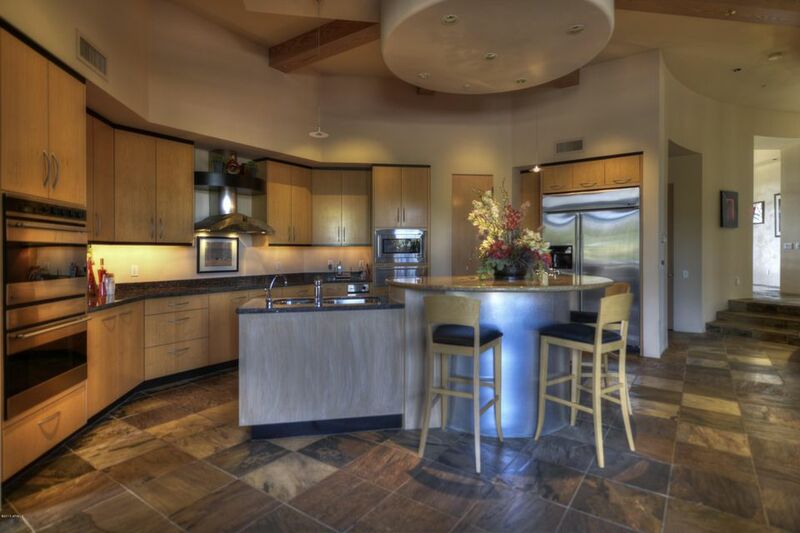 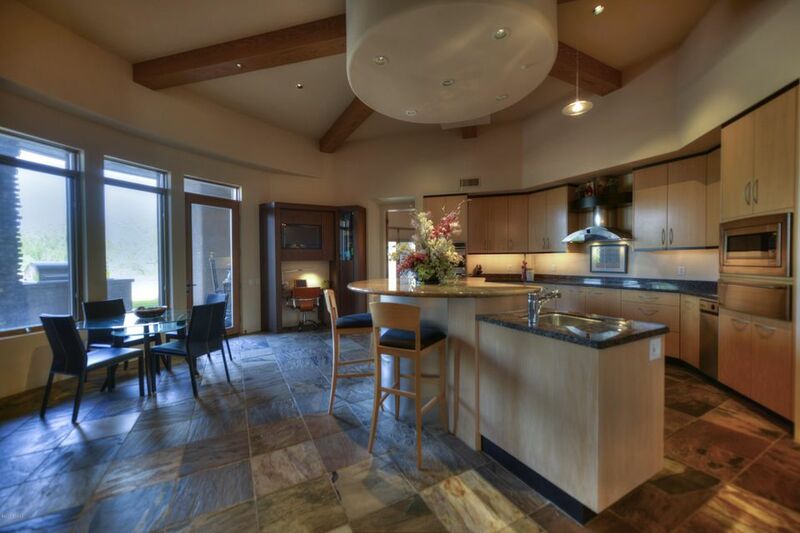 Exceptional custom finishes include slate and wood flooring, granite surfaces and custom crafted cabinetry & art shelving. 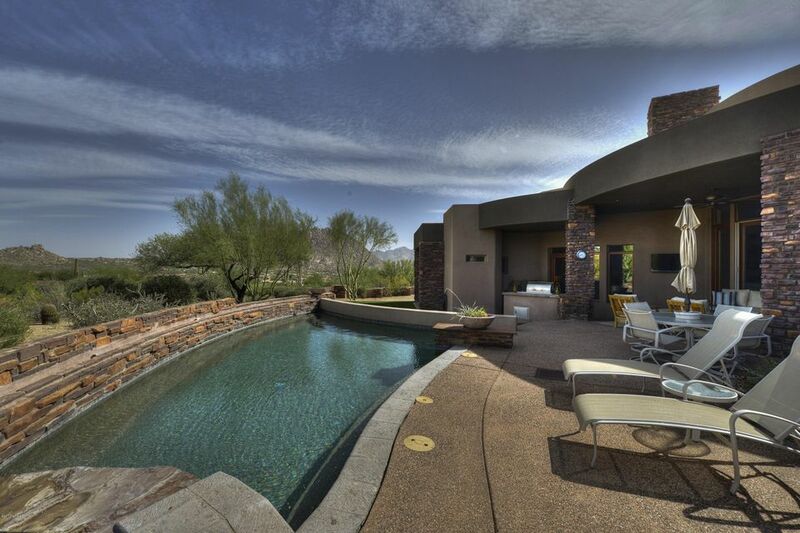 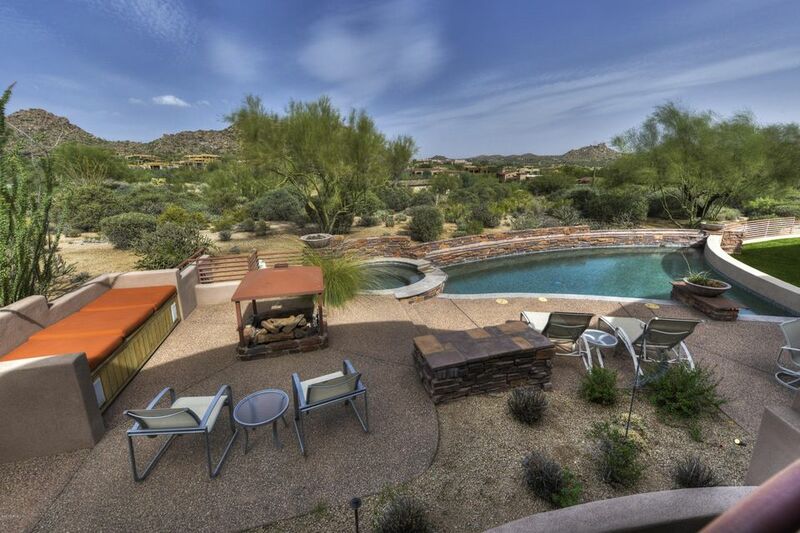 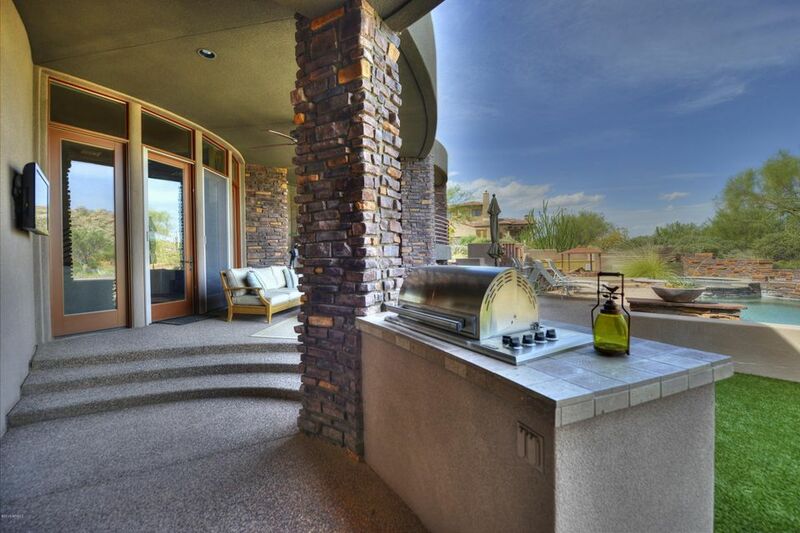 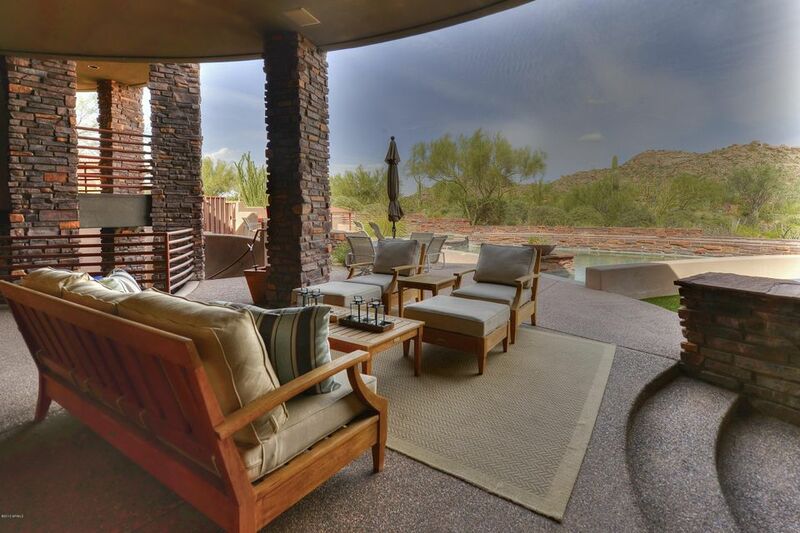 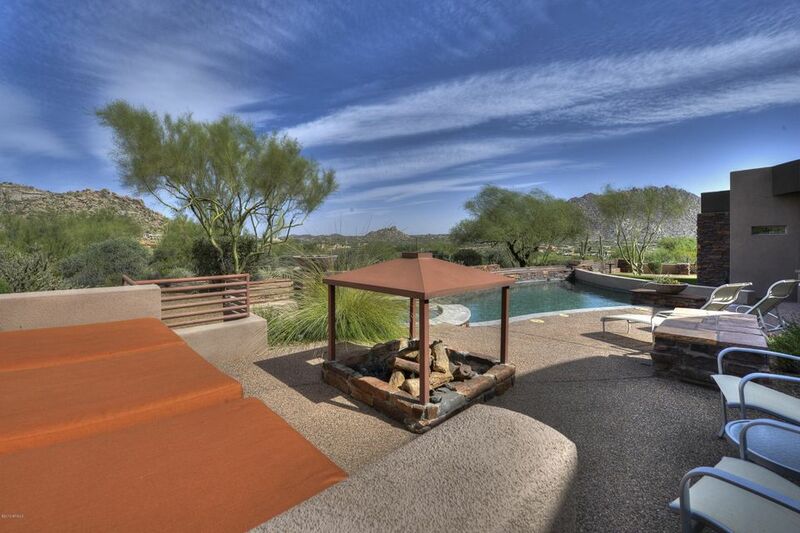 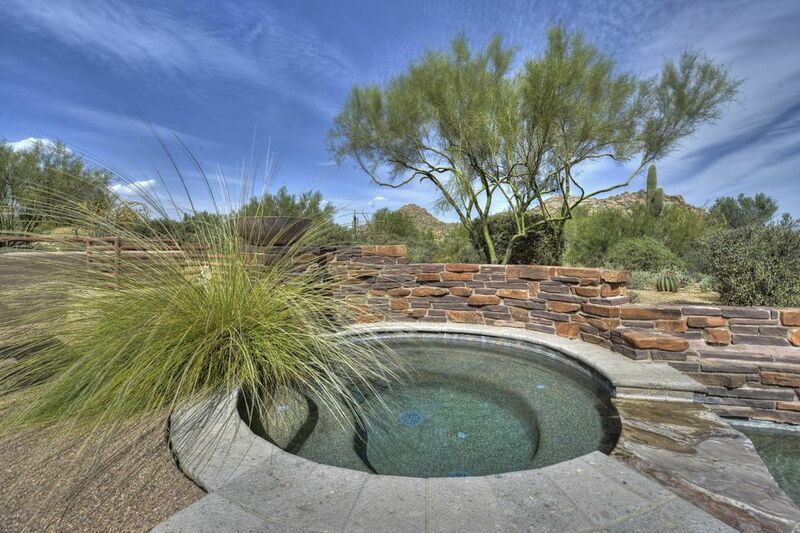 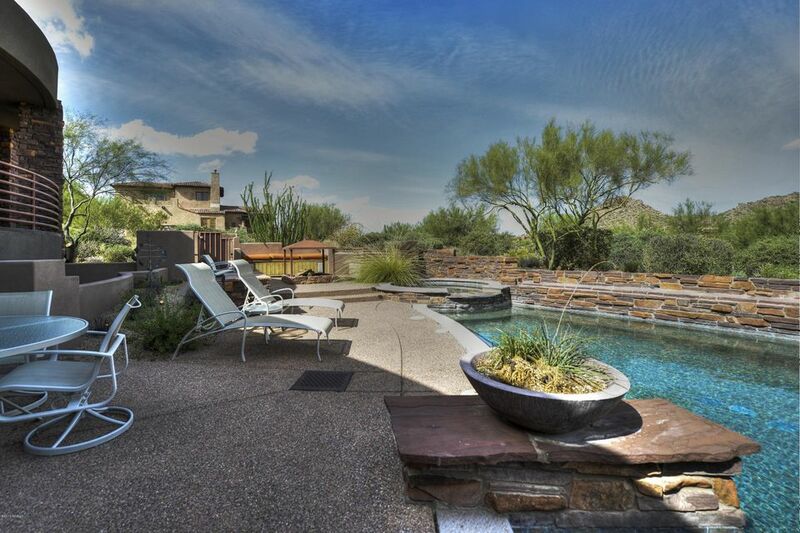 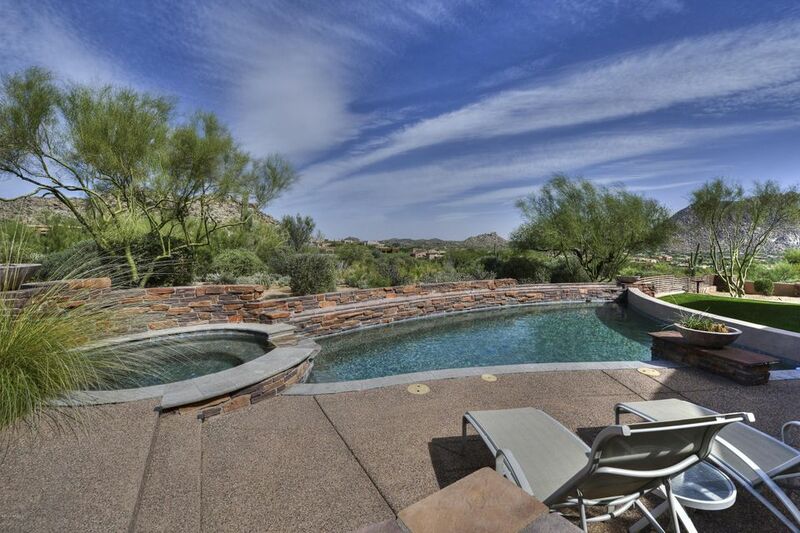 Inviting outdoor area with covered dining patio, gas fire pit, heated pool & spa.